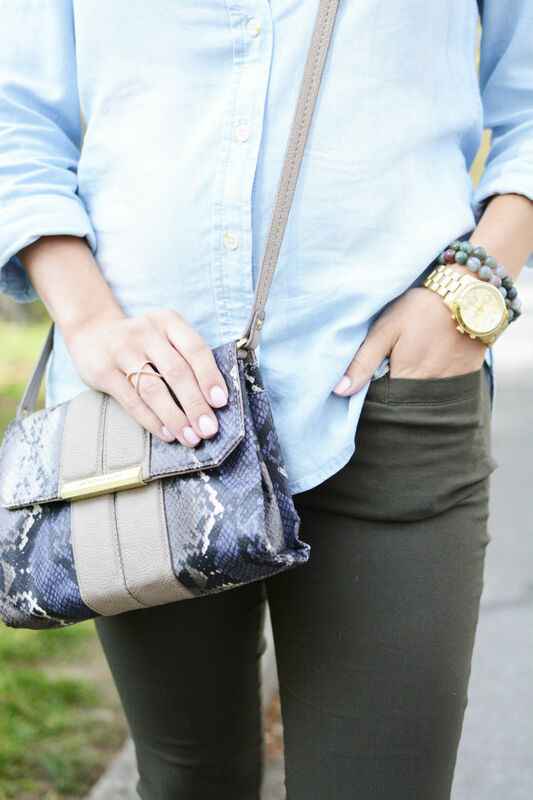 9 comments on "Chambray & Olive Casual Look"
Super cute outfit! I agree with you about date nights too. It is definitely important. I hope that you had a wonderful weekend too!! SO cute! So glad you're back :) And how do you not even look pregnant from straight on!? Such a great couple of finds! Love this outfit! It's simple yet cute! Love that look. 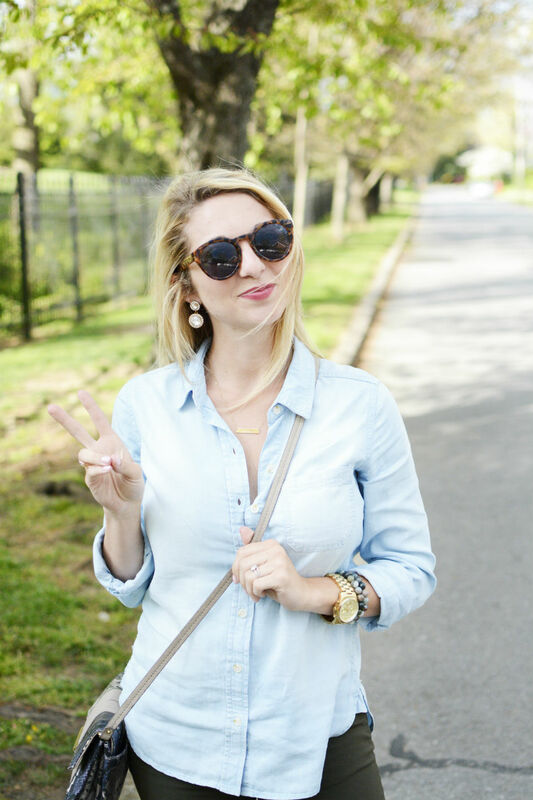 I've been trying to find ways to wear my chambray top because I just never reach for it. Thanks for the inspiration! 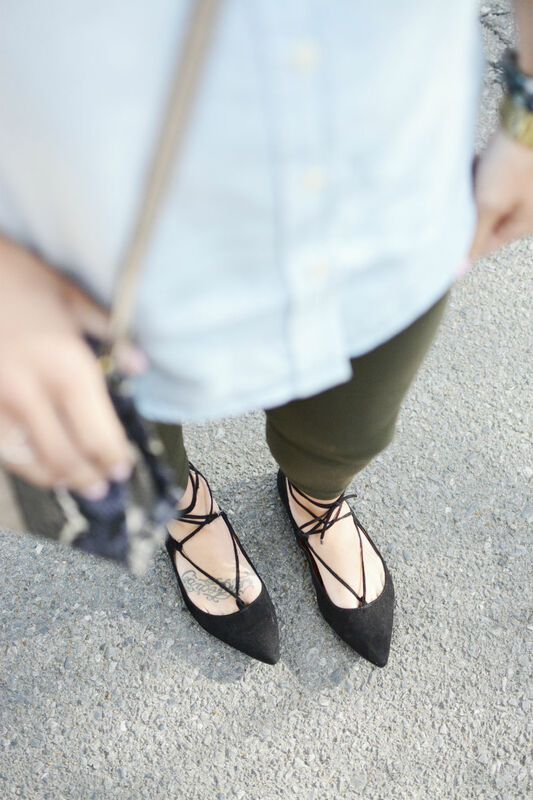 I love those olive pants. Love this look! I have a Freshly Picked giveaway happening right now!